Tequila is a regional distilled beverage and type of alcoholic drink made from the blue agave plant, primarily in the area surrounding the city of Tequila, 640 miles northwest of Guadalajara, and in the highlands of the central western Mexican state of Jalisco. Aside from differences in region of origin, tequila is a type of mezcal (and the regions of production of the two drinks are overlapping). The distinction is that tequila must use only blue agave plants rather than any type of agave. 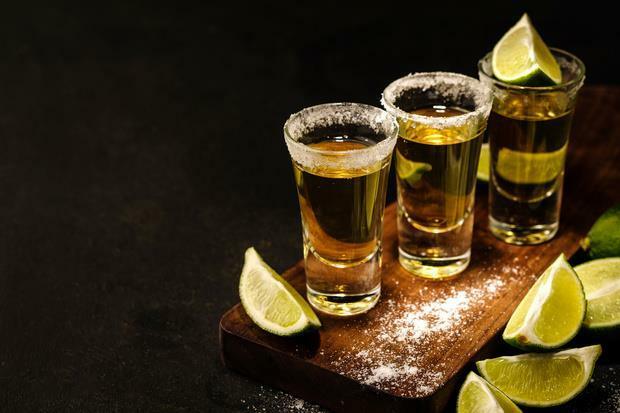 Tequila is commonly served neat in Mexico and as a shot with salt and lime across the rest of the world. The red volcanic soil in the region around the city of Tequila is particularly well suited to the growing of the blue agave, and more than 300 million of the plants are harvested there each year. Agave grows differently depending on the region. Blue agaves grown in the highlands Los Altos region are larger in size and sweeter in aroma and taste. Agaves harvested in the lowlands, on the other hand, have a more herbaceous fragrance and flavor. Tequila contains alcohol (also known formally as ethanol) and is most often made at a 38% alcohol content (76 U.S. proof) for domestic consumption, but can be produced between 31 and 55% alcohol content (62 and 110 U.S. proof). Per U.S law, tequila must contain at least 40% alcohol (80 U.S. proof) to be sold in the United States.